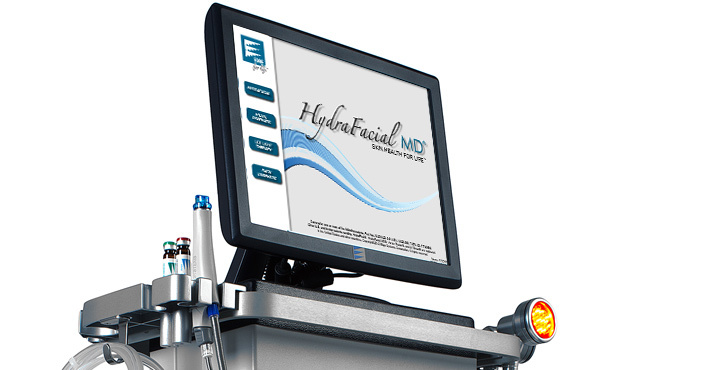 HydraFacial MD®, developed by Edge Systems, is the only skin health treatment that merges soothing and invigorating spa therapies with advanced medical technology to achieve instant, lasting results with no downtime for your clients. The HydraFacial® resurfacing procedure thoroughly cares for your clients’ skin. The HydraFacial® resurfacing procedure thoroughly enhances the skin using our patented Vortex Technology to cleanse, exfoliate, extract, and hydrate simultaneously. Ranked above IPL for facial rejuvenation, the HydraFacial®is a non-invasive, non-surgical procedure that delivers instant results with no downtime. The HydraFacial® is not just a quick-fix procedure – it helps improve the quality of the skin, making it healthy. Skin health is maximized between treatments with the scientifically formulated,.